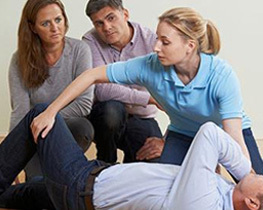 This nationally recognized American Safety & Health Institute First Aid and Adult CPR training course is designed to help employers comply with OSHA’s requirement for trained First Aid responders (29 CFR 1910.151). Moreover, this course is geared especially for response to workplace injuries and illnesses and can also include OSHA required Bloodborne Pathogens training for employees with potential exposure to blood or body fluids. Upon successful completion, participants earn a 2-year First Aid and CPR certification. Also, required documentation for Bloodborne Pathogens can be provided to the employer. Upon successful completion, participants earn a 2-year certification. In addition, required documentation for Bloodborne Pathogens can be provided to the employer. 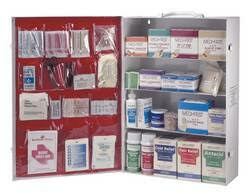 Are your First Aid Kits up to par? Do you have proper supplies in your kit? Correspondingly, do you have enough kits for the size of your workplace? OSHA’s general industry regulations specifically state that an employer must train people to provide aid if there is no clinic or hospital nearby. Furthermore, employers must also make emergency supplies readily available. These supplies are generally provided as first-aid kits. To create kits, employers must evaluate the hazards present as well as determine what tools and supplies their people will specifically need to provide proper assistance. Because we want everyone to be prepared for emergencies, we created a checklist for you…Use our checklist to make sure you have the necessary supplies to keep your people safe! The long wait is finally over and it is with great excitement that we report that FAC 59A-18.0081 – Certified Nursing Assistant and Home Health Aide Regulation update is now final! Accordingly, the Health and Safety Institute has been added as a named CPR provider in the Regulation.